1. Undergraduate Non-Degree Application - To apply as a Non-Degree Undergraduate student please complete and return the Undergraduate Non-Degree Application (click here). Include the course(s) that you are interested in taking. 2. 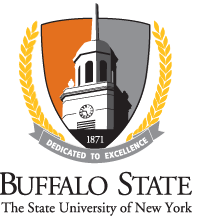 Graduate - Non-Degree Application - To apply for the Work-Based Learning program as a Graduate student as a Non-Degree Graduate student send an e-mail to ncprog@buffalostate.edu requesting information about the Work-Based Learning program.